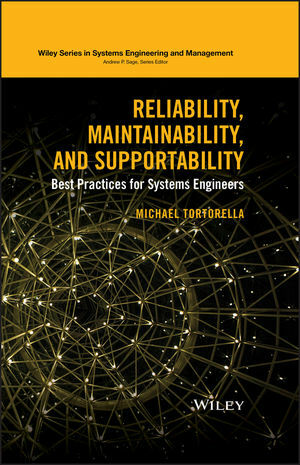 Reliability, Maintainability, and Supportability is a reference for systems engineers and graduate students hoping to learn how to effectively determine and develop appropriate requirements so that designers may fulfil the intent of the customer. Michael Tortorella is a Visiting Professor at RUTCOR (Rutgers Center for Operations Research) at Rutgers University, New Jersey, and an Adjunct Professor of Systems Engineering at Stevens Institute of Technology. He is the Founder and Managing Director of Assured Networks LLC, a next-generation networks design, performance, and reliability consultancy. Tortorella was a Distinguished Member of Technical Staff at Bell Laboratories, where he was recognized as a thought leader in design for reliability processes and technologies and network design and performance analysis.